The IBWC is installing FloodBreak® Roadway Gates to cost effectively raise their levees for FEMA accreditation. 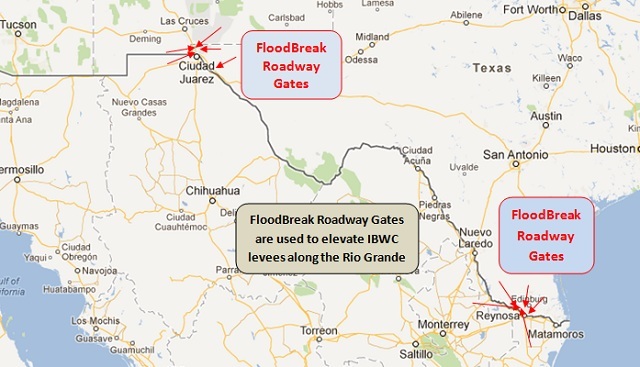 Levees managed by the IBWC along the Rio Grande must be elevated and rehabilitated to meet FEMA requirements for accreditation based on new FIRMs (Flood Insurance Rate Maps). 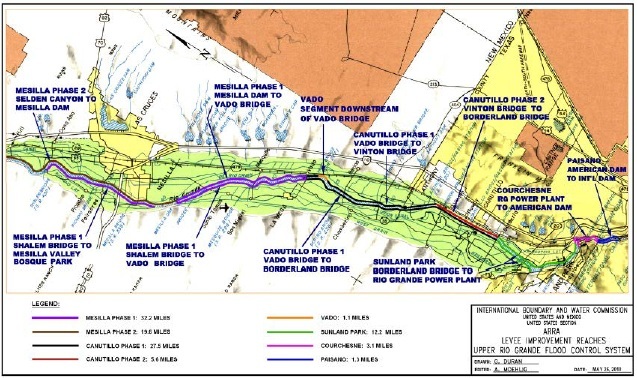 FIRMs were put on hold while FEMA revised its Levee Analysis & Mapping Approach (LAMP). FloodBreak has designed passive flood barriers, suitable for heavy highway traffic, that will meet the new levee elevations without raising miles of roadway or rebuilding bridges. Thirteen passive roadway floodgates have already been installed in the Upper and Lower Rio Grande Valley across highways and at bridge crossings. 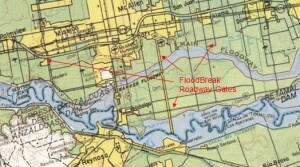 FloodBreak Roadway Gates are passive flood mitigation which means that they don’t require human intervention or power to deploy. 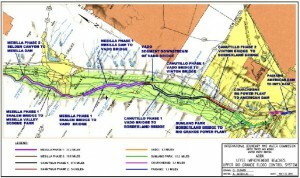 They are recessed beneath the road surface allowing continuous traffic unless flooding occurs. 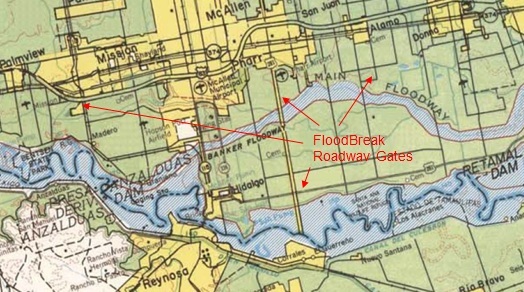 The floodwaters will lift the gate and activate the self-closing gaskets to prevent flooding. See how passive floodgates work. FloodBreak Roadway Gates are designed to withstand heavy highway traffic and are rated for HS-25 loading.